This is not the cheap $8 version from this winery, we ordered it off the wine list at an Argentinian Steak House. Paying about $35, I figure it should be about a $15 bottle. Anyway, it was so good that we ordered a second bottle after giving a Malbec a try. We started drinking this with the appetizers and it was great. 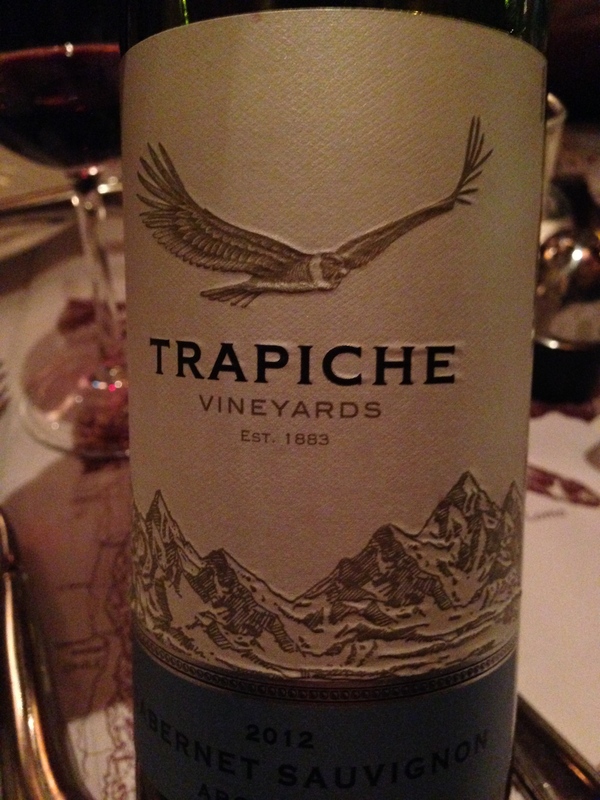 Bluish fruits and a dark cherry component mixed with the oak and gentle acidity made it very pleasing. The wine is not complex, nor is it basic but it is very drinkable and we all enjoyed it. The second bottle came with the Filet Mignons and was a great match. Filet is low in fat and is very tender making it a good match for a slightly less tannic wine that is not as complex. Overall, a good choice as evidenced by the group’s vote for more of the same. I would give this 88 points and reckon it is a 4 star effort if it truly were $15. Salut….